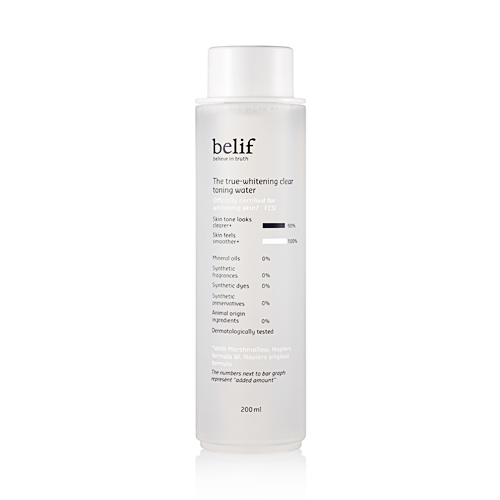 A water type whitening toner as the basis for other whitening products by lightly providing moisture and balancing dead skin cells. Includes marshmallow root extracts, helping your skin become clear and bright. Moisten a cotton pad, and gently apply to cleansed skin along the surface.